The Willamette National Forest up the end of North Fork Road off Hwy 22 just past Mehama is one place I enjoy spending time. It’s a great place for “backyard” exploring about an hour from my home in Salem Oregon. 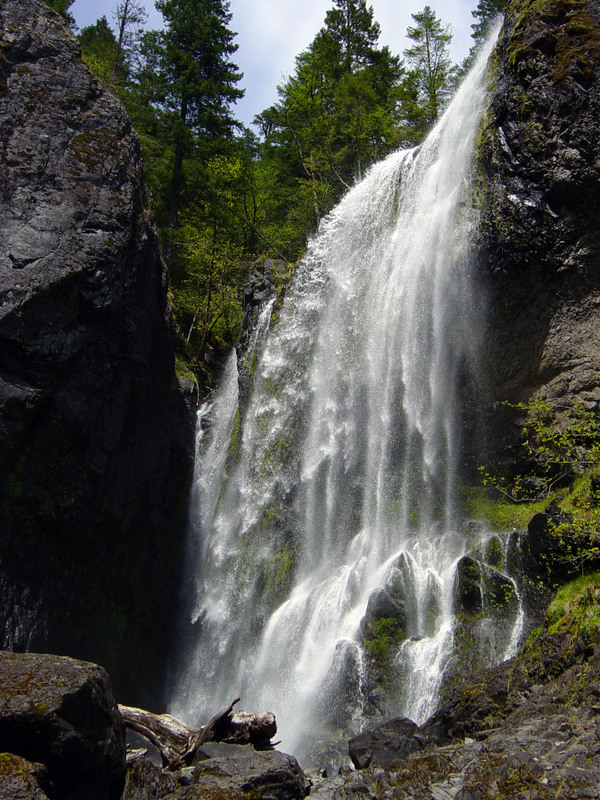 With my attraction to moving water and waterfalls, a great three waterfalls day trip to Salmon, Henline and Sullivan falls is a good blend of back roads driving and hiking. My favorite time to go is on a a nice winter or early spring day when the water flows are high. The drive up North Fork Road is dotted with creek views and a couple of county parks. Around 13 miles up the road is the first falls, Salmon Falls, watch for it and a small county park on the right side. Shortly past Salmon Falls the road becomes gravel. In about three miles you’ll come to a junction, stay left. Turning right is FS road #2207. There should be a sign at the junction showing .2 mile to Henline Falls. Be watching for a small parking area on the left. The trail head sign will say, “To Ogle Mountain Trail No. 3357”. This is an area that requires a NorthWest Forest Permit for parking / usage. Depend on the time of year you’ll need to fill out a Wilderness Permit. The trail to Henline Falls is an easy 1 mile hike. About a 1/2 mile in you’ll come to a junction / wide area in the trail, stay left. Soon after going left, there will be a sign for Henline falls on a tree. 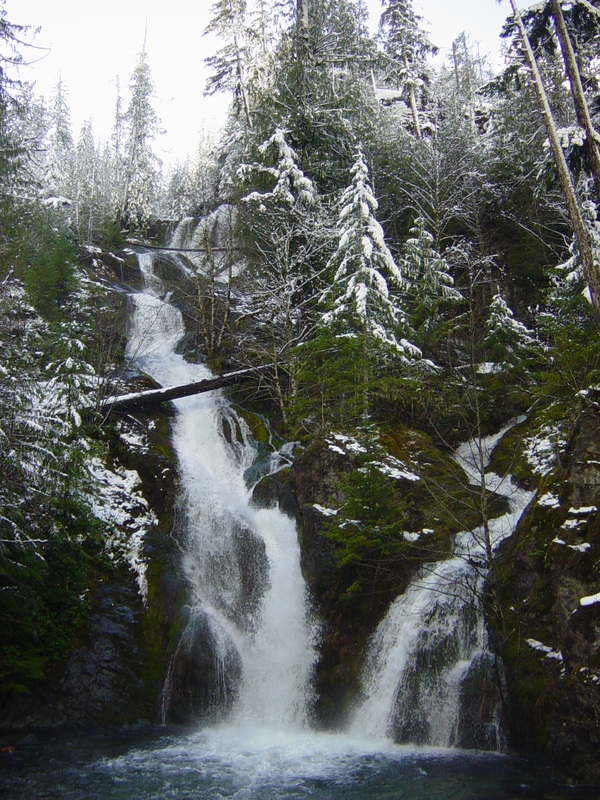 This falls is also the site of the old Sliver King mine. If you’re adventurous; bring a flashlight. When the falls are at low flows, you can explore the old mine shaft. Now go back to the junction and turn left on FS road #2207. Follow this for about 4 miles and Sullivan falls will be on your right. In the Winter and Spring there are interesting creeks and small falls along the road. It’s worth noting that this area gets snow in the winter. The falls are beautiful to see in the snow, although please be properly prepared for the conditions. Depending on the amount of snow, getting very far past Salmon falls will require 4WD. Road to Sullivan falls with 6” of snow.